At a certain point in time, a marketer has to make the decision, what kind of promotional tool he will choose. TV advertisement? Radio? Newspapers? Or promotional gift? The decision is easier as you might have thought. Every promotional tool needs a lot of thoughts. Which tool to use, what is the message, where to place it. The answer can be, depending on the tool used, easy or difficult. On top of that are the costs for the product and the production and how time consuming the preparation for the advertisement is. Advertisements in the TV are always really costly and take a lot of planning. TV is often seen as the channel with the most reach, which might be true, but often the retention of the people is high. Many go get food or check their emails in the advertising break. Furthermore TV advertising is very expansive and time consuming, especially when you compare it to the reach of the advertisement. Radio advertising is a very good way to reach people. Many people have their radio on while doing things in their household, driving their car or any other daily activities. However exactly this, can lead to noise in the message. People will not pay attention and the advertising is so short, that they will more likely forget the message. Only repetition can help here, and this will increase the costs on the marketing budget. Newspaper advertising can be useful and has the advantage, that it can be targeted very well. However, less and less people are reading newspapers and the costs are quite high, compared to other mediums. When looking at the above marketing tools, it seems more than obvious, that promotional gifts are the most practical way to advertise your company. It is not only a cheap way, but also an easy way to advertise your company. People will remember your name, since they see it every time they use your product. Furthermore it will increase your relationship with the receiver. Make sure you buy your promotional products at an experienced promotional product webshop. Go for companies which are top influencers in their market. If you’re looking for a quality company in the Netherland then you should go for Zintuig.nl. People are always thankful, when they receive a gift. This will give them good memories of your company and will more likely let them come back. As you can see, there are many ways to advertise your company. The decision stays with the marketer, but the arguments speak for themselves. Steph Weigert is the director of Zintuig.nl. 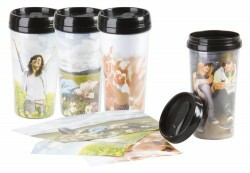 Zintuig is a webshop specialized in promotional products and gifts in the B2B business. With over 10 years of work experience I am sure we will always find a appropriate gift for your target group! Visit our website, Facebook, Twitter and G+ for more information. I agree that promotional gifts are great, not too many people use the radio anymore, what with having iPhones and Sirius XM as their main choice of music. Great article.